Evymama Nursing & Maternity in Toronto, Ontario has a very lovely nursing mothers lounge where shopping and passing through moms can breastfeed or breastpump milk for their infants. One nursing mom who visited Evymama in Toronto, Ontario said "The shop is gorgeous and they have places to nurse, change your baby, and kids toys." "And great service! Professional bra fittings, sales people not too pushy, nursing lounge, bathroom, baby change table, and tea! What more could you ask for when shopping with your baby?" 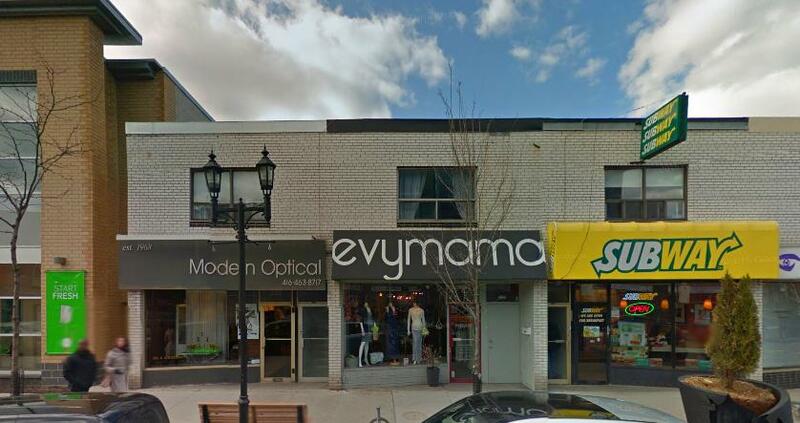 Evymama Danforth Avenue is located on the north side of Danforth, at Playter Estate Blvd., between Broadview and Chester stations. There is metered street parking available.